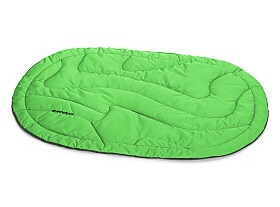 At a mere 14oz, this compressible bed is ideal for backpacking or camping. 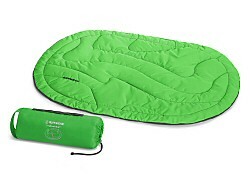 Reclaim your sleeping bag while giving a comfy place to let your dog sleep. Fits perfectly under a tent vestibule. Synthetic high loft Thermore® insulation (with 50% recycled content)insulates dog from ground.